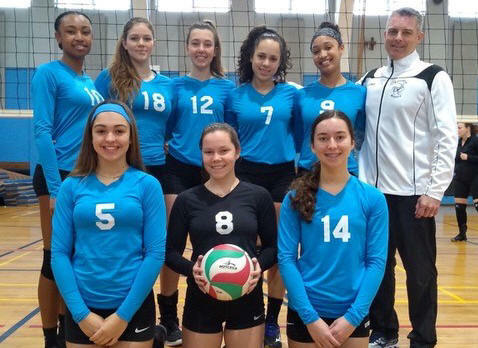 BERMUDA, March 28, 2019 - The Bermuda Junior Girls National Volleyball Team will be sending three teams to compete in the Tampa United Slam on March 30-31. This is a high level, two-day tournament with 180 teams registered taking place at the Tampa Convention Center. The Junior Girls program has tripled in size over the last few years and this has allowed the program’s age groups to expand. For this tournament, there will be an Under 14, an Under 16 and an Under 18 team competing under the name Paradise Hitters. Giving these young athletes the opportunity to compete overseas is extremely valuable and this tournament provides them with an opportunity to gain experience beyond what is available in Bermuda. None of this would be possible without the generous support of our sponsors and dedicated team of coaches and staff. Our amazing sponsors have allowed this program to be accessible to so many new players and have helped provide the opportunities to create seasoned players that have the experience to compete on the global stage. The coaches are so committed to the girls and this program; not only creating talented volleyball players, but strong, confident, team oriented young leaders. “Paradise Hitters 14” is coached by Head Coaches Mike Gazzard and Lisa LeBlanc. They will compete in the U14 Club division including 24 teams. The players selected for this tournament are: Anna Marcotte, Daniella Stegmann, Erin Kelly, Hailey Moss, Jocelyn Manuel, Kayley Hamilton, Kolby Martins, Natalie Gazzard and Olivia Porter. “Paradise Hitters 16” is coached by Head Coach Allison Settle and will compete in the U16 Club division comprised of 29 teams. The players selected for this tournament are: Ashley Horseman, Kaylee Trott, Layla Kurt, Lindsey Pacheco, Megan Hands, Morgan Kempe, Sophia Stevens, Taylor Rego and Zori Seymour. “Paradise Hitters 18” is coached by Head Coach Gary LeBlanc and will compete in the U18 Club division (this division will have Open and Club teams in it). The players selected for this tournament are: Alexa Saldok, Amber Simons, Cailey Longworth, Caroline Amaral, Katrina McPhee, Kylah Hall, Monique Cordeiro, Olivia Taylor and Sy McPeek.